Hosted at the cultural hot spot in Worcester County, The Globe Book Club meets the first Thursday of each month at 6 PM upstairs in The Globe's cozy Balcony Art Gallery & Lounge. Comfy couches and a semi private room provide just the right atmosphere for this group to gather, catchup with each other and discuss the most recent read. 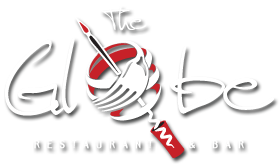 The Globe offers a complimentary chef's choice appetizer and guests are more than welcome to purchase food and spirits from the full Globe menu. Attentive, cordial service is provided to guests and all are more than welcome to join the club at any time. No purchase necessary. NOTE: Please check The Globe website for schedule changes regarding holidays or specials events along with the most updated reading list.